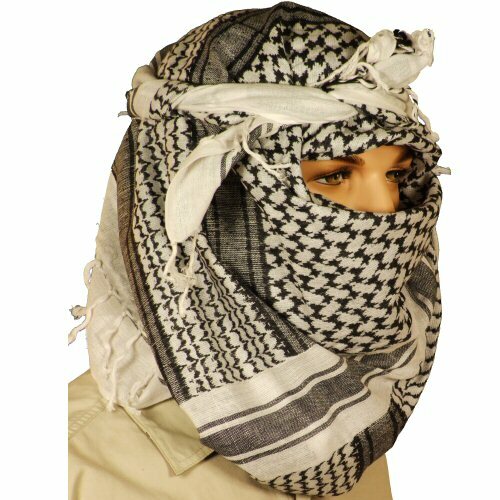 Black and white shemagh, useful for its large 3ftx3ft area as a headwrap or scarf. Made of lightweight, woven poly-cotton material. Tassled at ends to prevent fraying. 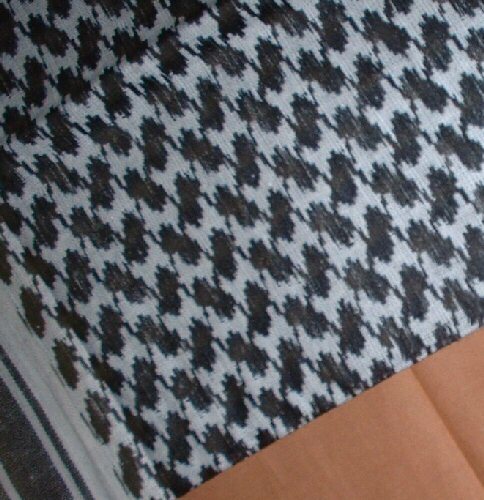 Closer view of the woven pattern.